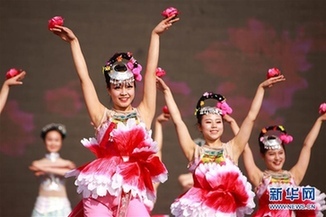 The 2017 China International Azalea Festival was held at the Baili Azalea scenic spot in Bijie city, Guizhou province on March 28. A pair of disabled entrepreneurs in Southwest China's Guizhou province are offering hope and employment to others who share their predicament. Ma Zhiguo, 52, lost four fingers on his right hand at age 19 while operating a machine that made coal briquettes. Few people used the narrow road in the mountain town of Moudao before 2011. People in the area could barely harvest enough food to eat from the limited farmland, which supported only potatoes and corn. The success of Tongren, Guizhou province, in promoting preschool education in rural areas is being hailed as a possible blueprint for the eradication of poverty and a means of preventing its reemergence. Lequn, a poor, remote settlement tucked away in the mountains surrounding Liupanshui in Guizhou province, has about 4,000 residents, nearly 10 percent of whom have physical disabilities - almost double the national average. The first China International Big Data Industry Expo will be held May 26-29 in Guiyang, capital of Southwest China’s Guizhou province, organizers announced at a press conference on Thursday in Beijing. Fascinating Bouyei clothing was presented to 600 guests for the recent Mercedes Benz China International Fashion Week in Beijing. 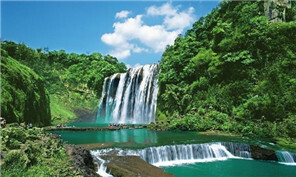 Xingyi and Ceheng counties in the Qianxinan Bouyei and Miao autonomous prefecture, Guizhou province, were nominated on the list of “2017 100 deep-breathing towns” by the China State Economics Association on March 18.